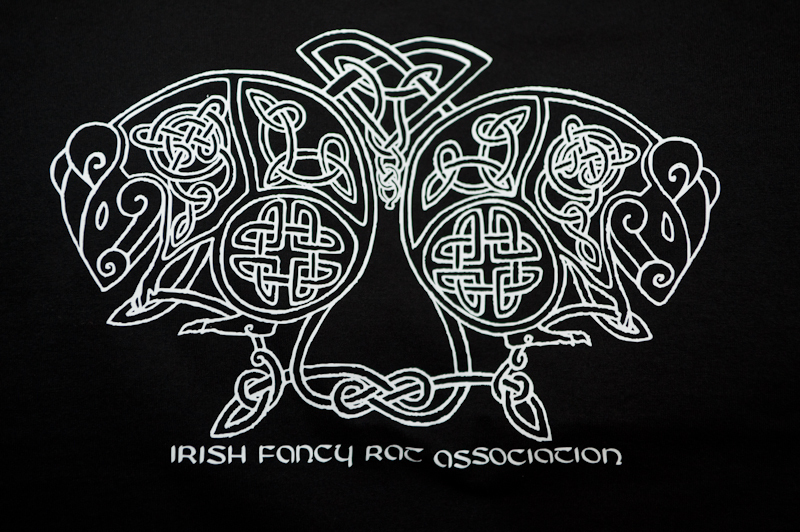 Greetings from The Irish Fancy Rat Association! That's right, we're changing... and it's more than just our name! We are passionate about pet rats, and have been for nearly a decade - since 2005 we have been working on improving the image of the pet rat in Ireland, and we're making great steps! This year sees our first show, a Christmas pet show and social event in West Cork, and we are unveiling The Irish Fancy Rat Association - IFRA! - Access to the forum (we will be making all but the health section available to members only - we will keep the health section open, with the aim of helping more rats and owners). - An online magazine - which will have stories, reviews, artwork, photography, articles, questions and answers etc - we also welcome any and all submissions - and with our first issue being launched in January, we'd love you to get some submissions in ASAP! - The chance to vote at AGM and EGM - this is very important, it enables you to shape how you want the rat fancy in Ireland to progress. With this is the ability to stand for a committee post if you so wish. - Members can avail of a slightly cheaper entry rate to our shows, with entry for non members being €2.50 per rat and for members being €2.00 per rat. We also have a new logo in the pipeline, and our fabulous merchandise range, all profits go to the IFRA, and raise valuable funds for us to run shows and seminars. 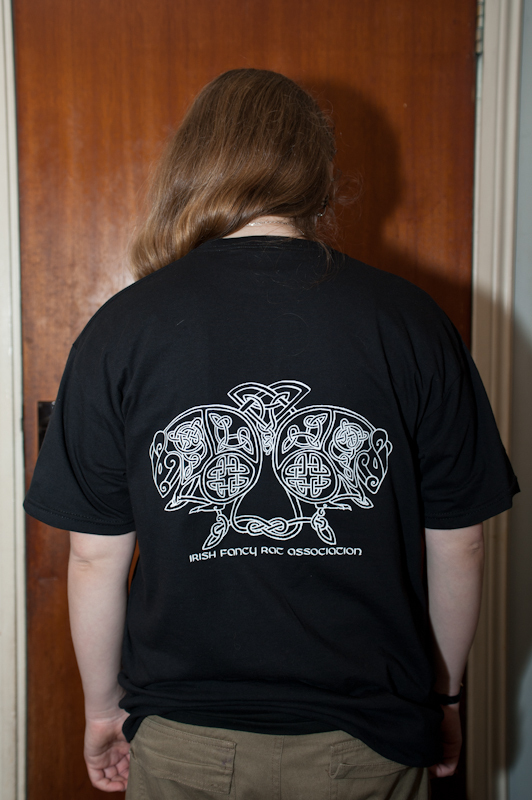 Currently we have some beautiful tee-shirts and hoodies, and we will take advance orders for the show on the 15th December. Merchandise should be pre ordered only through the forum via pm to Zoundz or eoghan. You can also send a message to Laura Woods or Gracie Daly on the IFRA Facebook page. We have available hoodies, tee-shirts and cups. T shirts come in s, m, l, xl, xxl and are Fruit Of The Loom. They come in black, purple, green, burgundy, navy, orange, pink, sky blue, royal blue. These cost €15 - but if you order them to collect at the Christmas show on the 15th we're doing a special one off price of €12! Hoodies come in s, m, l, xl and xxl. They come in black, purple, red, green, pink, navy, royal blue and sky blue. Heavyweight hoodie with twin needle stitching detailing and three panel double fabric hood with thumb holes in the cuffs. Flat lace drawcords and kangaroo pouch pocket and hidden MP3/Phone pocket inside kangaroo pouch pocket with small opening for ear phone cord feed. Hidden ear phone loops with V Neck insert detail with hanging loop at back neck, locker patch and ribbed cuff and hem. These cost €25 - but if you order them to collect at the Christmas show on the 15th we're doing a special one off price of €22! The cups are white with colour or black and white logo. Cups are €12. Closing date for orders is Wednesday 11th December. Here are a few pictures of the logo and how it looks (though the image will be on the front of the tee-shirts/hoodies rather than the back! 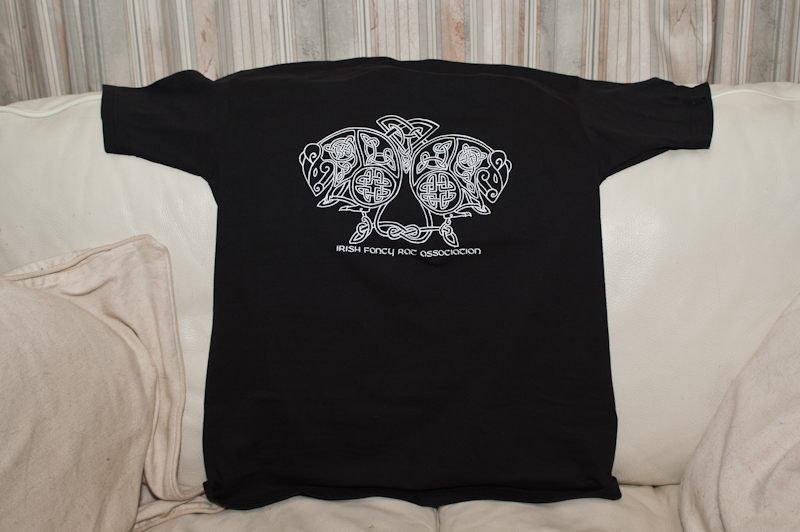 We hope many of you will continue to support the development of the rat fancy in Ireland!